Vision care from York Eye Associates will help you enjoy every detail of your surroundings. Doctors George and Joan Hayes are a husband and wife team who established York Eye Associates in 1984. 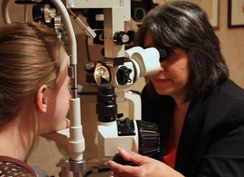 Our doctors and staff are truly committed to providing the best in eye care and optical services.